The folks over at Al Waha shisha tobacco sure do love their blueberry flavors, and we can't blame them! This time, they've brought us Blueberry Guava! As you would guess from the name, this shisha tobacco flavor combines the natural flavor of blueberries with the sweet, and lightly floral, flavor of guava. 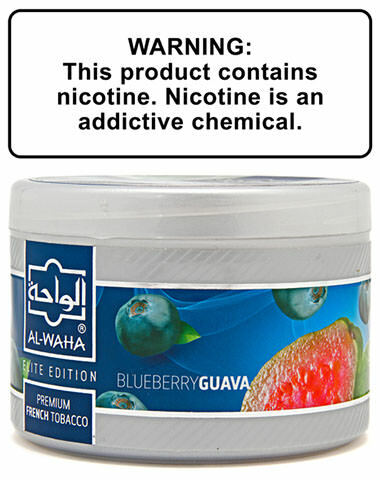 Blueberry Guava Al Waha Shisha Tobacco has a average rating of 0 stars out of 5 stars based on 0 reviews.